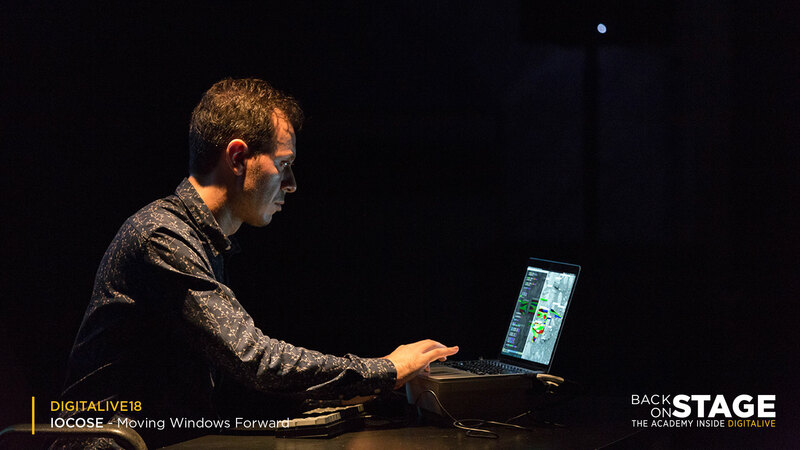 For DIGITALIVE 18, IOCOSE presented Moving Windows Forward, a live coding performance to reflect, with simplicity and irreverence, on our vision of the future. 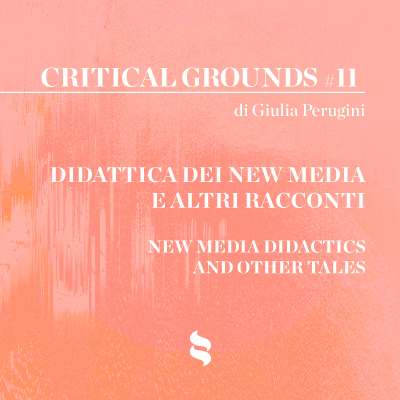 Since 2006 the collective IOCOSE (Matteo Cremonesi – Brescia, Davide Prati – Berlin, Filippo Cuttica and Paolo Ruffino – London) has worked with a variety of media platforms including websites, videos, social networks and portraits. 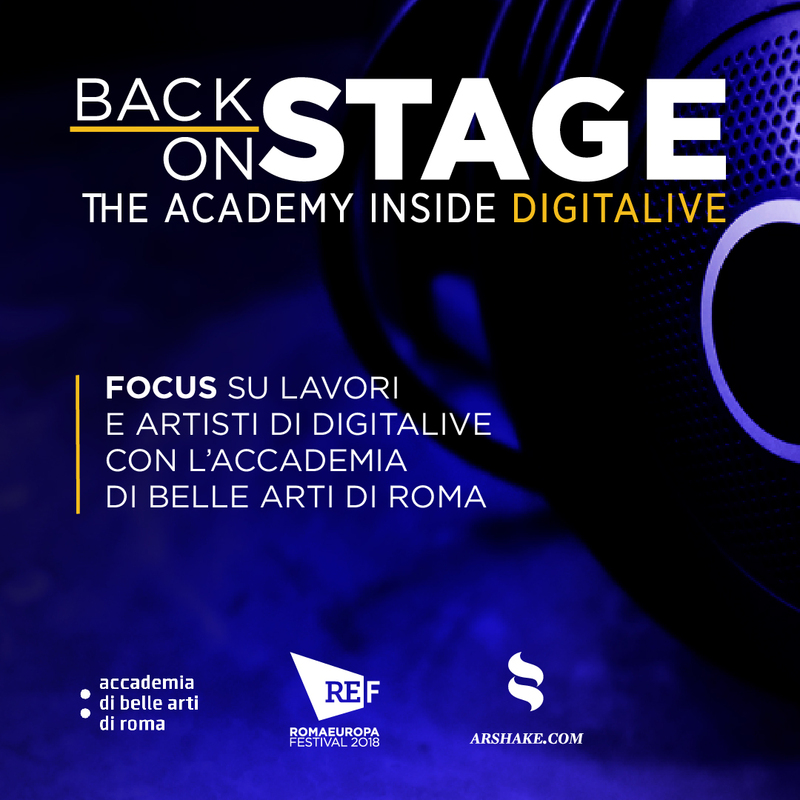 IOCOSE has performed at several art institutions and festivals at an international level (the Venice Biennale, Tate Modern in London, the Science Gallery in Dublin and MACRO in Rome) and appeared on TV channels such as the RAI and France4. 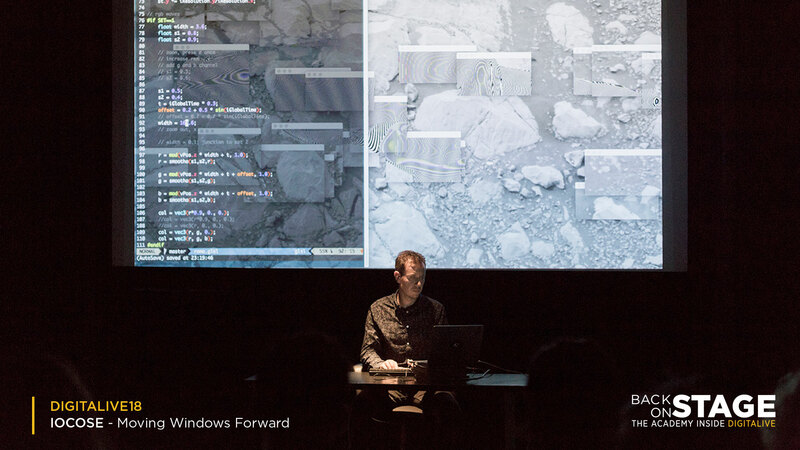 In Moving Windows Forward the dark space in which is immerse the public was animated by a few elements: a computer, a mouse and a spray can – unusual working tools used by an anonymous and silent programmer. 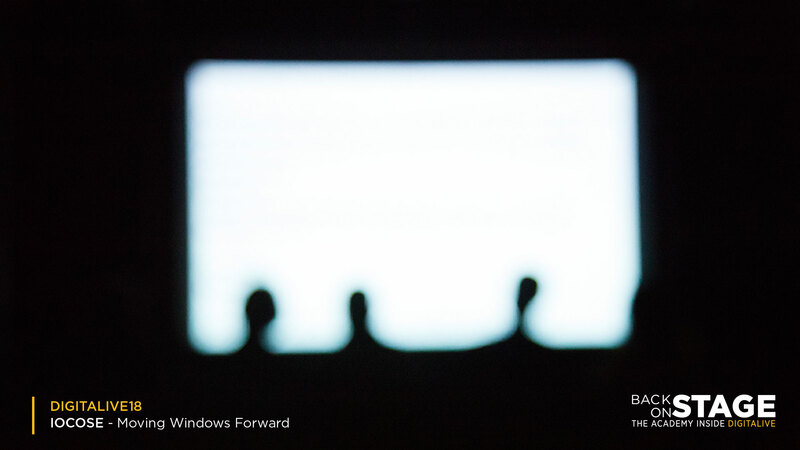 It was possible to observe the complexity hidden behind the (apparently) banal scrolling of a series of desktop windows, projected on a screen for all the spectators to watch. Looking carefully, spectators could glimpse the image of a hand in constant evolution through the flow of moving fragments. The index figure points right (towards the future). The window of the software programme, also visible, showed a series of colour-coded lines, continuously evolving and sliding down. 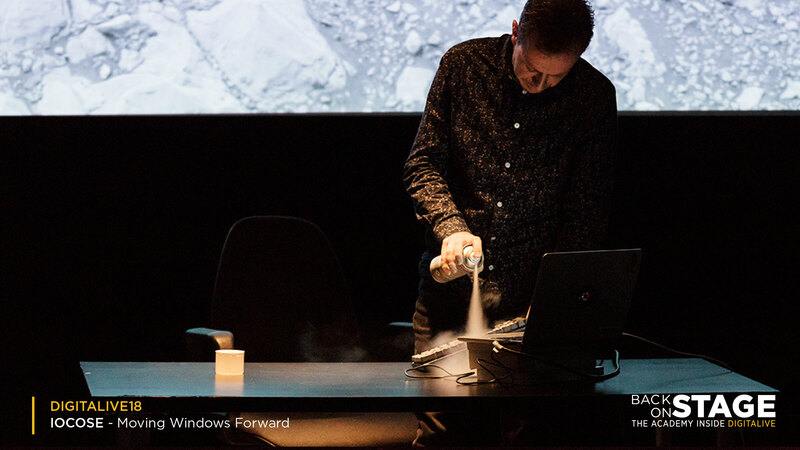 The performance ended by spraying the keyboard, almost as an act of deleting the tracks of the performative act, in order to start again from scratch. Can the future be represented? Does not the imaginary used to describe it fail? The collective’s four artists want to uncover the failure of all narratives which speak of cultural and technological progress involving either optimistic or catastrophic scenarios; IOCOSE believe instead that the future will be populated by varied, banal realities. 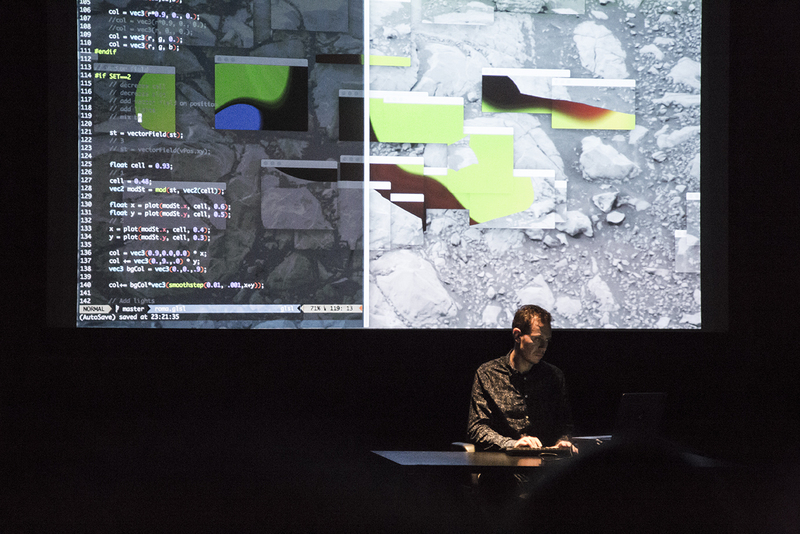 IOCOSE’s performance was on stage in the days between October 5 and 6, 30 minutes live coding. The frame of the Pelanda at the Mattatoio in Rome, where the performance took place is the place where once pigs were slaughtered and skinned. This stage revealed itself particularly interesting comparison between past and future, mediated through the voice of contemporary art.